For sale, a Spire GT3 that was self built and used in the 750 Motor Club RGB Sports 1000 Championship. Due to another project this car is now for sale, ready for anyone wanting a great track day car, or get in to racing/hill climbs or sprints in a very competitive and fast car. This chassis was the last GT3 to be produced before he GT3S. The GT3 is a multi championship winning chassis designed by Spire Sportscars based in Derby. It is a well prepared, clean and reliable example of the GT3 and is ready to go straight in to racing this season. It is a great car for someone wanting to get in a competitive car at a fraction of the cost of a new example. 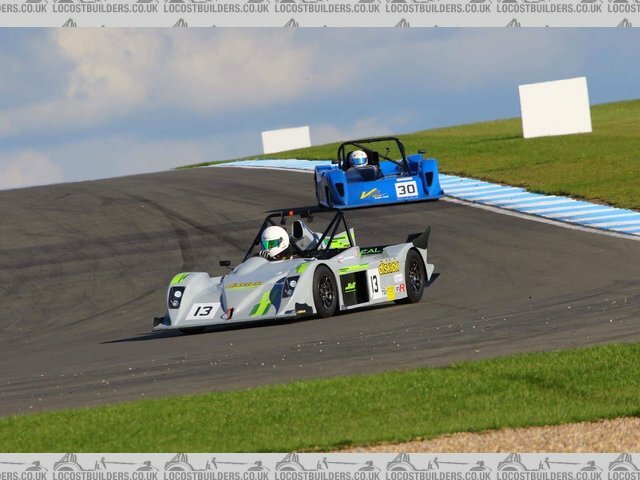 These cars are great for Trackdays, designed for use on sports road tyres and using standard engines which make the cost of running them very effective. with a top speed of approx 135Mph depending on gearing and 0-60 times in the region of 3.5 seconds. This car won the 750 Motor Clubs award of "Best prepared car" in 2016 and has since continued to be maintained to a very high standard. It has an exceptional reliability record. It has never been crashed, repaired or had any substantial damage. The engine is a standard 2008 Suzuki GSXR 1000 and was fully rebuilt in 2018, It has since had Approx 10 hours usage on track and is still sealed which brings it in line with regulations should you want to go racing. These engines are expected to last over 60 Hours before a refresh is advisable, routine servicing will increase the life. The car has a number of spare parts included: Passenger seat & harness plus two exhaust systems; One side exit race exhaust (107Db) and one quiet Track day exhaust (95Db). Springs, Sprockets and other useful parts will also come with the car. The car is ready as it stands to compete in the 750MC RGB Sports 1000 Championship or Bikesports Class D and has just had a winter servicing/rebuild carried out making it ready for track use.